I hope you all had a great weekend, I certainly did! 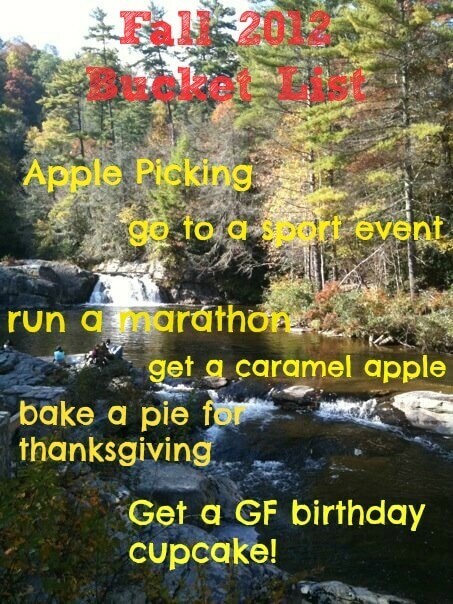 Since Saturday marked the first day of fall, I thought it only appropriate to come up with my own fall bucket list. They’ve been popping up over the blog world ever since the summer bucket lists became so popular, so I wanted to take part. It’s important to slow down a bit and do some fun things to appreciate the season, and fall is by far my favorite! Well, first and foremost my birthday is in the fall, so obviously it’s the most important… Haha but beyond that I love the crisp air, the warm drinks and all the fun activities. Plus football! I wish I could afford to go to a Bears game or two but, those tickets tend to be a biiiiit expensive. 6) Get a gluten free cupcake for my birthday! Haha I think number one on this list is run a marathon! It’s such a huge part of my Fall that I couldn’t not put it on there. 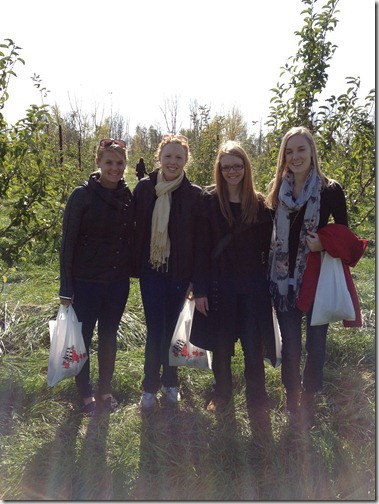 I went apple picking last year and loved it, so I definitely want to do that again at least once! I also want to make a pie or something similar this year for Thanksgiving. I meant to last year but just didn’t have time time, and honestly just didn’t put in the effort! And it’s been almost a year since I went gluten free and I have yet to try a cupcake! There are a couple bakeries who make them so I need to try one out. Haha and number one is run a marathon! Only two weeks away!